art-candy - Andrea's personal blog: Holy Crap Podcasts! Has anyone else been listening to any animation podcasts? A couple days ago I didn't really know what a podcast was but now I am HOOKED! They are so cool. I've found The Animation Podcast and in one I was (re) listening yesterday, Clay mentions a few other animation podcast creators, (Spline Doctors, Animation Conversation, Toon In, Conversation on Animation) and now that I do a quick online search I see that there are many more! So far I've just headed over to The Spline Doctors for a start and their webpage is amazing too! I wanna check them all out. The Animation Podcast often feels a lot like a very enjoyable history class, but the interviews are peppered full of great animation info and ideas... Very cool. Thank you Clay! 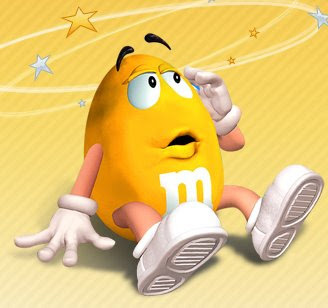 Yesterday morning on TV I saw a pretty cool advert for M n M's candies, It's an ad with Red and Yellow in a montage of clips through the years and their design and animation styles match the times they are placed in along with the setting and all the people in those clips. AGO Reopens it's Doors... with free admission!